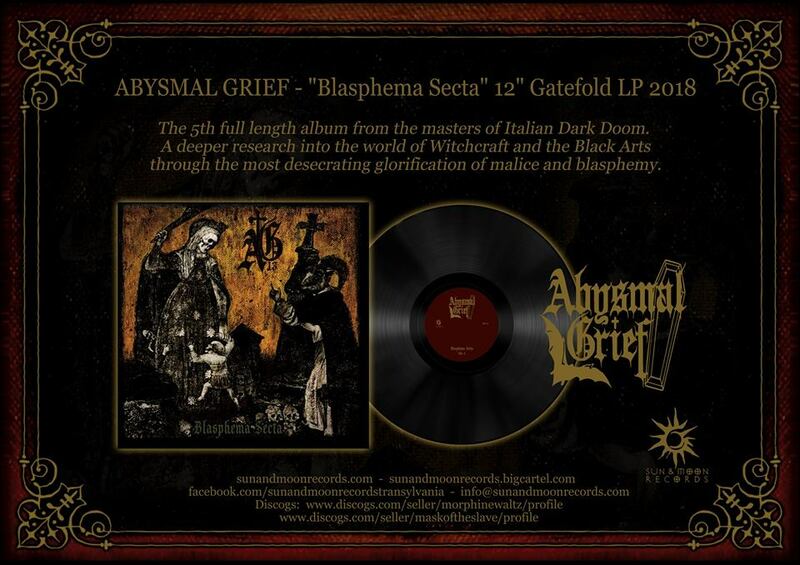 Italian doom metal legend Abysmal Grief signed a pact with Transylvanian Sun & Moon Records for the new album! 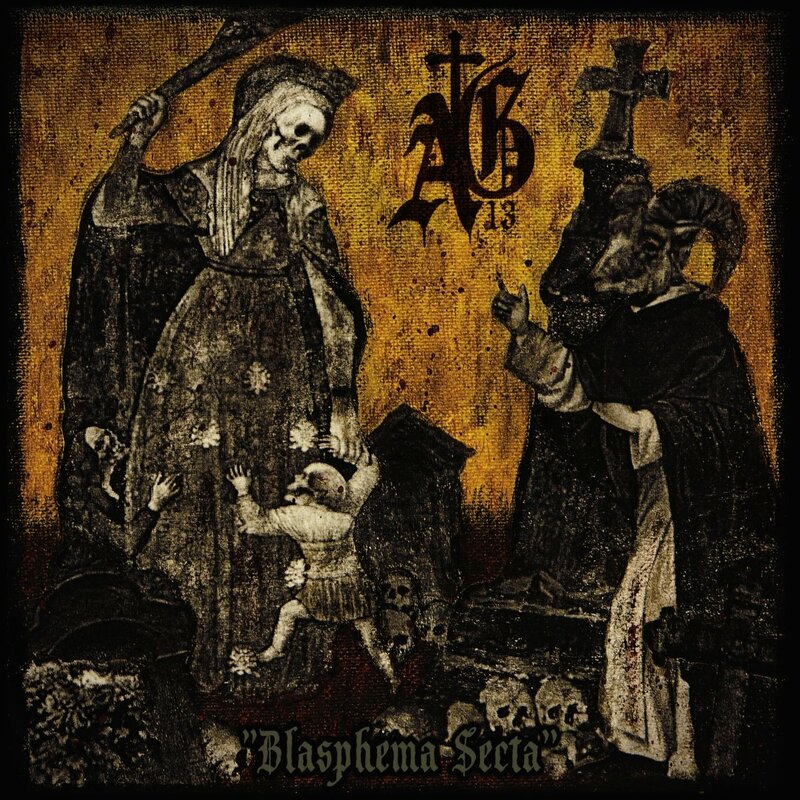 The 5th full length album entitled "Blasphema Secta" will see the light as a Gatefold 12" LP on 13th January 2018. 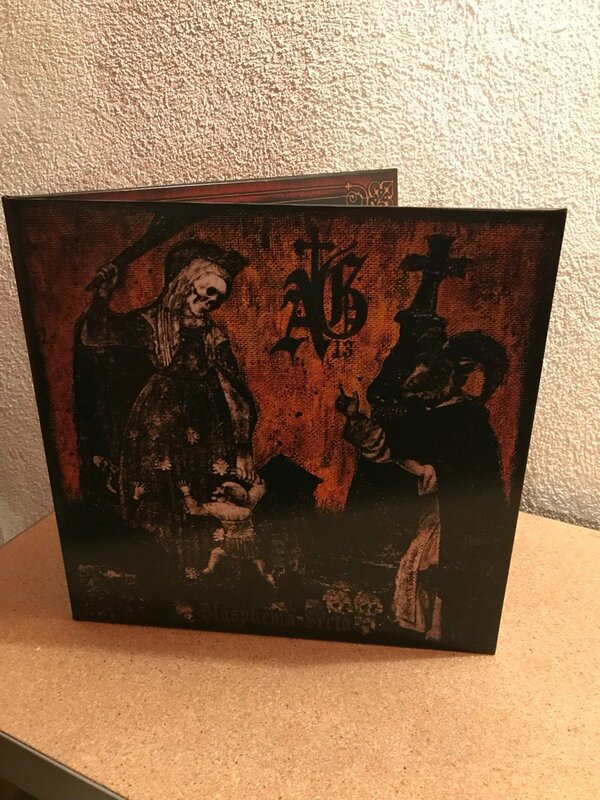 The CD edition will be out on Terror From Hell. 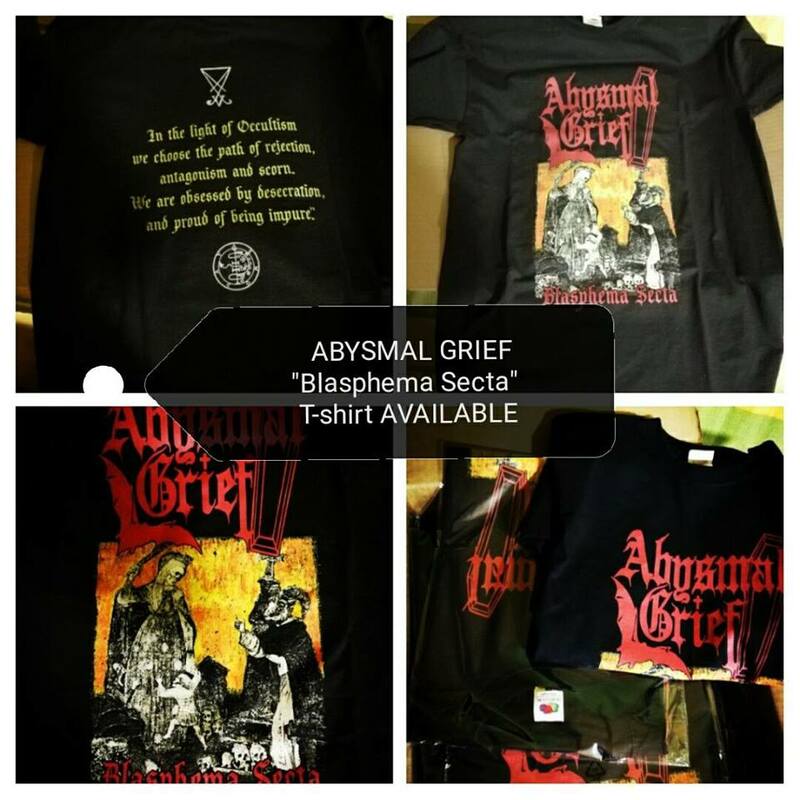 Abysmal Grief - exclusive song streaming from the new album! 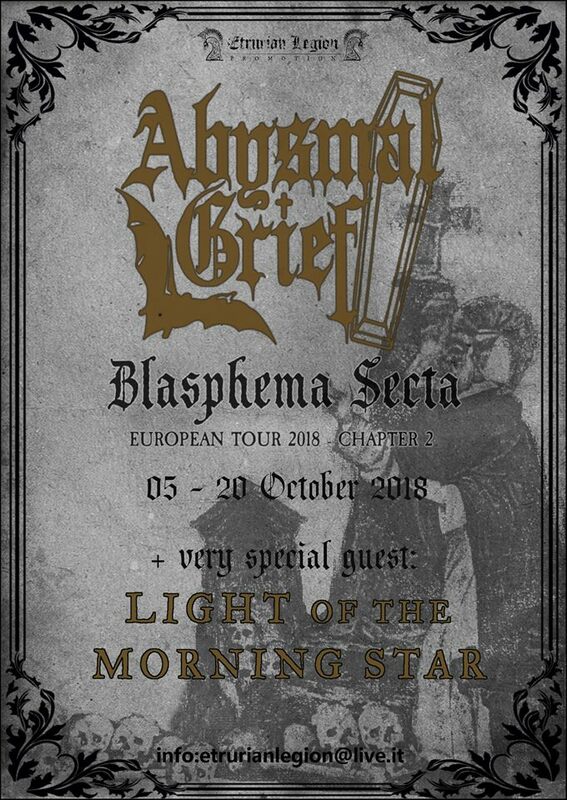 2 dates are available on the next Abysmal Grief European tour! 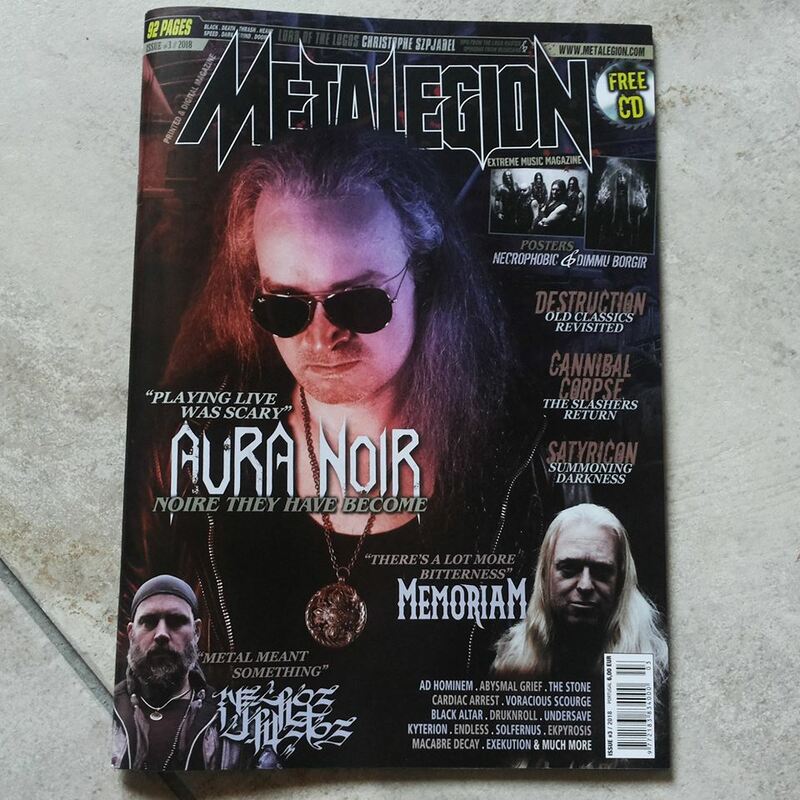 Get in touch if you are interested to bringing the band to your town! 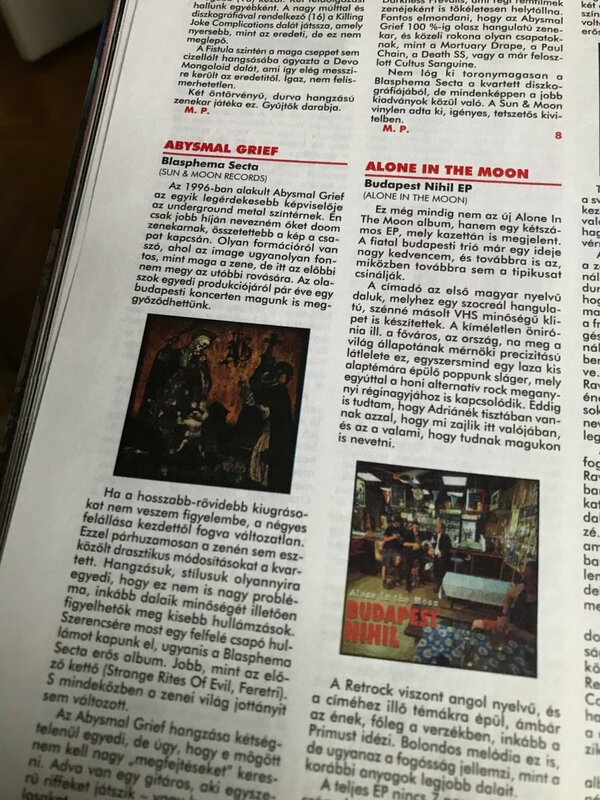 promoters/labels in Slovakia/East Czech/Austria/South Germany interested in booking these days? 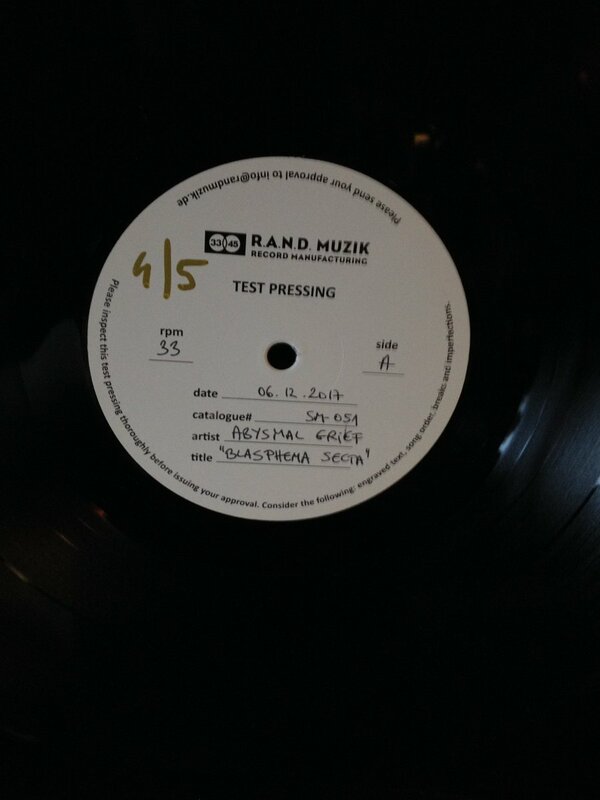 IMPORTANT NEWS: after a short delay, our 3 new vinyl releases are arrived to our warehouses! 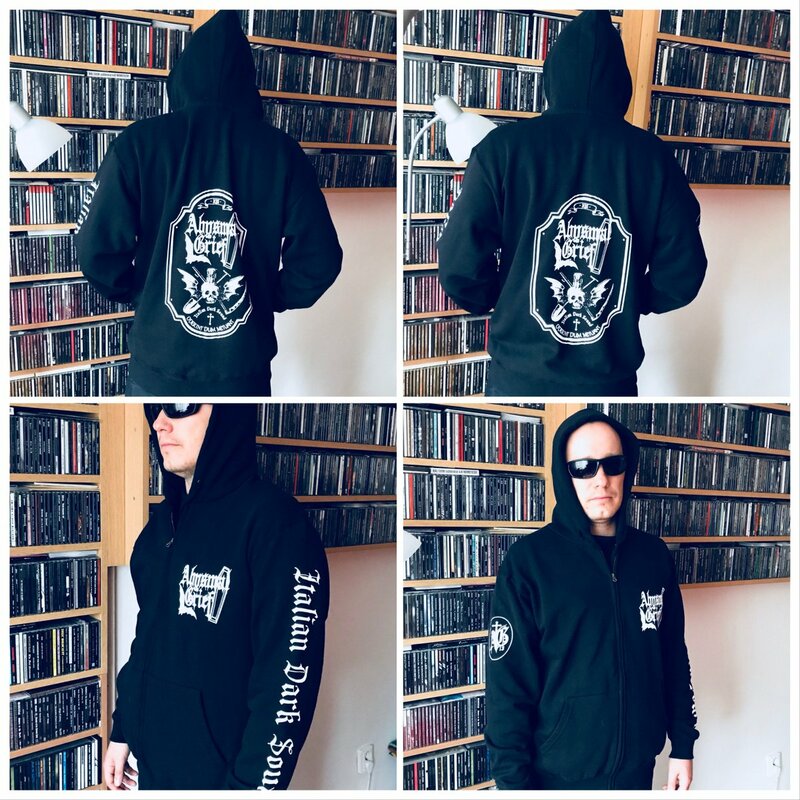 Pre-orders, new orders, wholesale orders will be send from 28th January, we are working hard on warehouses arrangements, packing, etc, many thanks for your massive support, order & patient! 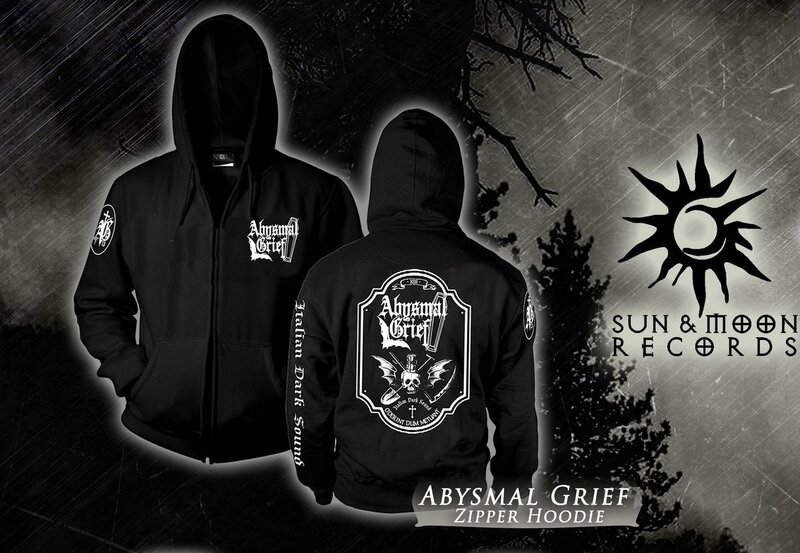 In 1 week we will have the new ABYSMAL GRIEF zipper hoodie and T-shirt out!!! 4 may - Lobershutz (Ger) - CANCELLED!!! 9 may - Kaunas (Lv) @ Klubas "Lemmy"
Booking open for this great package available for your clubshow and festival in October 2018. 05 - 20 October 2018 DATES AVAILABLE!! Available dates for: Germany, France, Belgium, Holland, Denmark, Sweden and Norway. 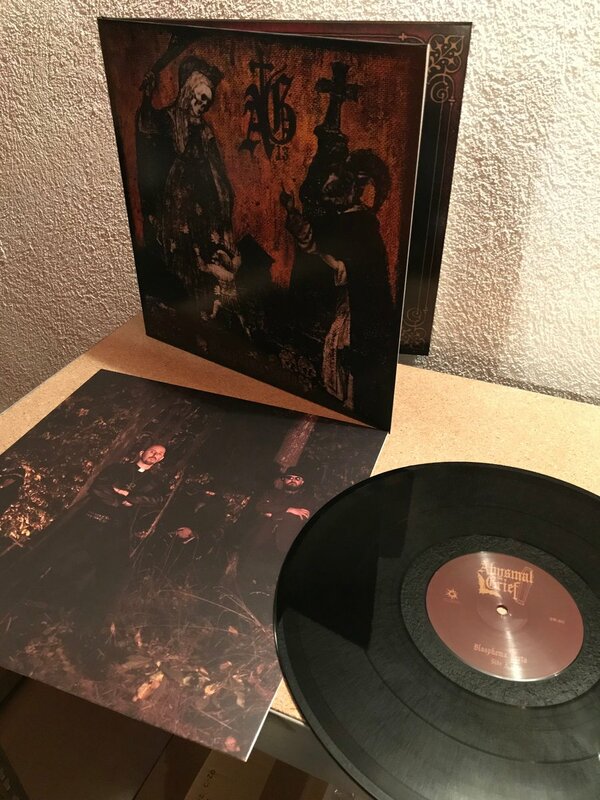 new reviews, copies from the limited 12" Lps still available! 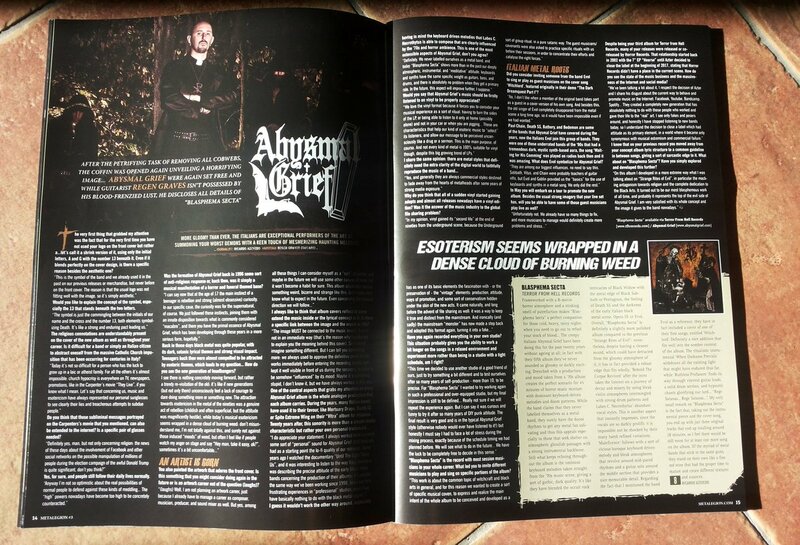 Abysmal Grief interview in @MetalegionMag current issue! 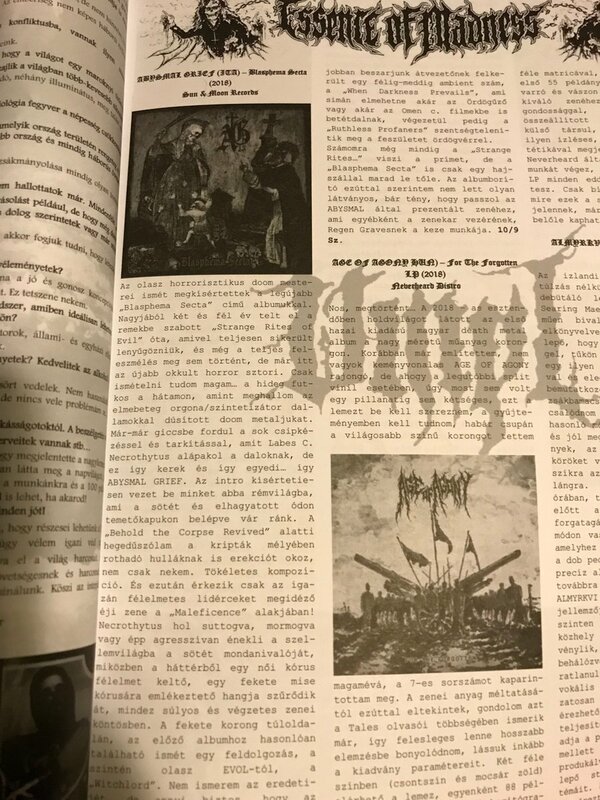 new episode with a very nice Abysmal Grief interview conducted by Matei Plesia from ScrollsofDarmoth! 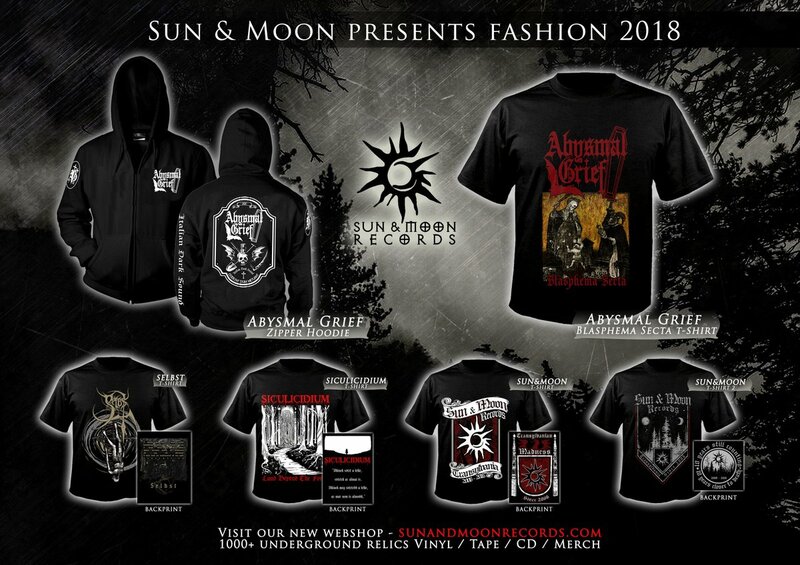 and other underground jewels!